In New York we don’t tend to have beer and liquor sold in the same store. This is because wine and liquor can only be sold in designated liquor stores, where as beer can be sold in grocery stores. I am actually pretty jealous of Flordia on this one if I’m being honest because when I say anywhere, I do in fact mean anywhere. Target, Walmart, and yes, the Dollar Store all have a section for wine and beer. The selection isn’t as varied as what I see in our NY liquor stores, but oh the convenience! 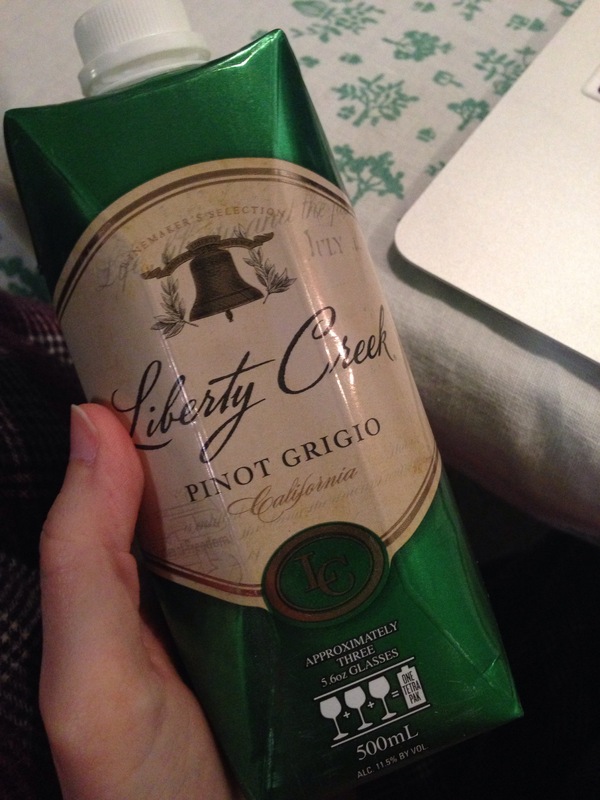 I love good wine, but I appreciate the bad, cheap wine for it’s convenience. With that in mind how can I not marvel at single-serve boxed wine? I suppose 3 glasses of wine might be a bit more than “a single serving,” but even still I’m amazed. I, like many lazy people, love GrubHub. Pretty much everywhere I go I check to see what my delivery options are. It’s some sick obsession. I can’t help it. Imagine my surprise when I realized I could get not only hot food, but groceries delivered to my door in Florida! Beaches, lax alcohol polices, and grocery delivery via GrubHub? No wonder why people move here. As I browsed the grocery list dreaming of all the wonderful orders I could place for over-priced TP and toothpaste I found the most hilarious offering by far, condoms. Condoms in and of themselves wouldn’t be that weird to see on this list, but they were the only item that had multiple options. Can’t be picky when ordering generic shaving razors, but don’t be afraid to scrutinize your condom order! In all seriousness, Florida is pretty great. They get picked on a lot, but there is a reason so many people choose to live here. I’d be a liar if I said our fresh water beaches in New York were comparable to the National shoreline, and whats more, you can bring your single-serving of boxed wine!